Donald Trump may have said the US embassy was moved to a “lousy” location in London’s Nine Elms, but last month that “horrible” site played host to a selection of British and Irish celebrities. Among them were the model Jodie Kidd, the Dublin designer John Rocha, former Girls Aloud member Nicola Roberts and the actress Naomie Harris. The venue was the marketing suite at Embassy Gardens, the 15-acre plot where Irish developer Ballymore is at work. As well as the US embassy, there will be 1,750 apartments, 20,000 sq m of commercial space and the world’s first “sky pool”. 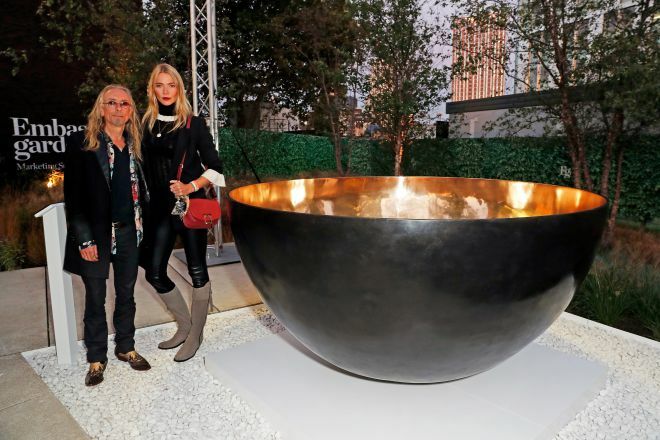 The event was held to mark the unveiling of Rice Bowl, a new 1.3-ton, one-metre tall bronze sculpture by the Irish artist Guggi. Ballymore founder Sean Mulryan has long been a collector of art, and commissioned the Dubliner — a friend of Bono — to create the piece. While all of the celebs were gathered at London Gardens for music and drinks — there was no excessive champagne swilling — other, less-known attendees were perhaps the real story. They were artists who have taken residency at another of Ballymore’s developments. South of Canary Wharf, on a 12-acre site called London City Island, Ballymore is constructing more than 1,700 apartments — starting price £420,000 (€480,000) for a one-bedroom suite — in a collection of colourful buildings incorporating nearly 6,000 sq m of commercial space and 3,000 sq m of retail space. Its main aim, though, is to create a new riverside cultural district for the city. 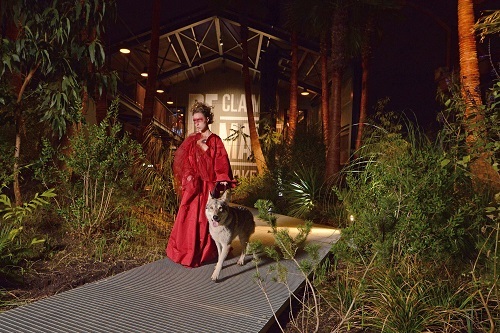 “In recent years, we’ve decided to bring art and culture and the creative industries into our developments. We’ve done it here at Embassy Gardens. The biggest example is London City Island,” Mulryan told those gathered at the event. From the start in 2015, Ballymore put the creation of a cultural hub at the heart of its strategy for London City Island. Nearly 17,000 sq m at the development is devoted to cultural spaces. The highest profile tenants announced to date have been the London Film School and English National Ballet (ENB). Next year, ENB moves from its 40-year-old home at Markova House in Kensington into a new 8,600 sq m facility, four times the size of its existing home. There will be a 300-seat theatre space, dedicated education spaces, rehearsal studios and rehabilitation facilities. Residents of London City Island will become “friends” of the ENB, and already it has held workshops and participated in cultural events in the community. There are smaller arts companies too. Arebyte, a digital arts gallery, moved from Hackney Wick to London City Island in October 2017, when its lease expired. The Woods Studios, a music and art production company, has also relocated from central London. Ballymore has been reeling in tenants with low introductory rents. Part of its commitment to culture at London City Island was due to its planning obligations — the development is in an area of heritage and right beside Trinity Buoy Wharf, a community of artists and makers housed in a selection of warehouses and multi-coloured containers. Ian Felton, a local artist, has worked from Trinity Buoy Wharf for 13 years. 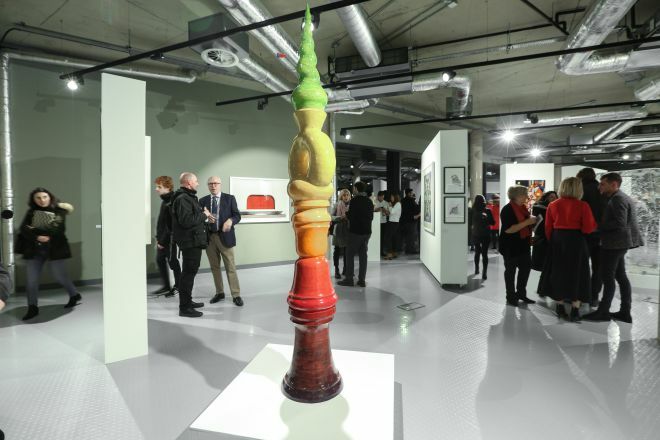 This year, he was brought in by Ballymore to open the Trinity Art Gallery at London City Island. He is working regularly with the developer now, and curated the two-day Unity arts festival in September which took place at London City Island, Trinity Buoy Wharf and Goodluck Hope, another Ballymore project under way. On nearly seven acres between Trinity Buoy and London City Island, it will eventually comprise 804 apartments, 2,000 sq m of commercial space and 235 sq m of educational space — all in gorgeous warehouse/New York-style buildings. 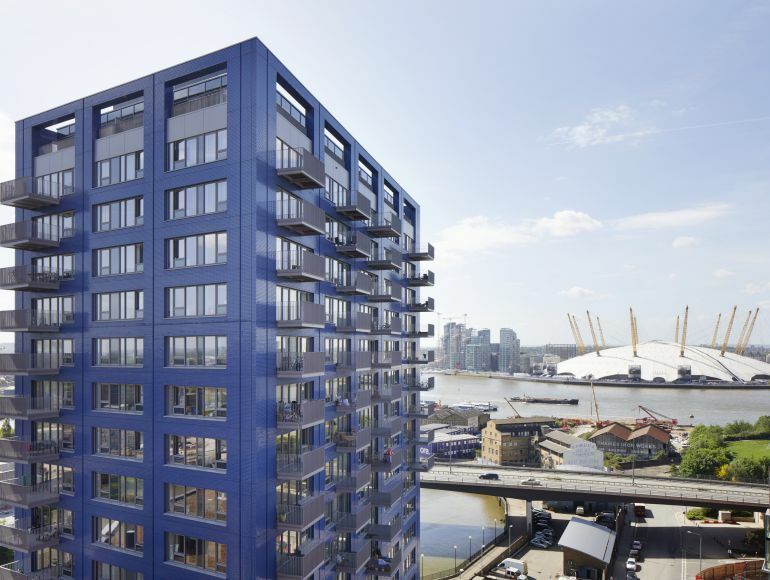 Felton says Ballymore has alleviated the concerns of many Trinity Buoy Wharf residents over a big developer moving in. Nimrod Vardi, director of the Arebyte gallery, describes moving to London City Island as “a very good decision for us”. For Dantae Johnson of the Woods Studios, the move has coincided with him moving into one of London City Island’s apartments. He says at the company’s old studios in central London, where it was surrounded by competing artistic companies, nobody wanted to collaborate as they wanted to keep their projects secret. “When we had the opportunity to come down here, we thought it would be fantastic, and we have some really good plans for here,” he says. London City Island certainly fostered a sense of collaboration — it is palpable. Yet make no mistake, for Ballymore, its commitment to the creative industries is an astute business strategy. With an Irish company making such waves in London, some may ask why it cannot do something similar on these shores. Ballymore is building out Dublin Landings on the capital’s northside, but the majority of this is commercial. Where something similar could potentially happen is at St James’s Gate in the heart of Dublin city, where Diageo plans to transform 12.6 acres of its brewery site into a mixed-use scheme. The setting, surrounded by vat houses, cooperages and brew houses, would be a perfect location for a cultural hub and trendy, attractive apartments to match. Ballymore is down to the final four bidders for the contract to develop St James’s Gate, and while O’Farrell says she cannot talk about the bid, various conversations with Ballymore’s London-based Irish staff reveal that many of them would really love to get their teeth into a project like that. It is difficult not to share their enthusiasm. A Ballymore project in a place that has so much history is exactly what this city needs —especially if equal focus is placed on bringing cultural organisations to the Dublin 8 site. This side of the water, we can only live and hope.